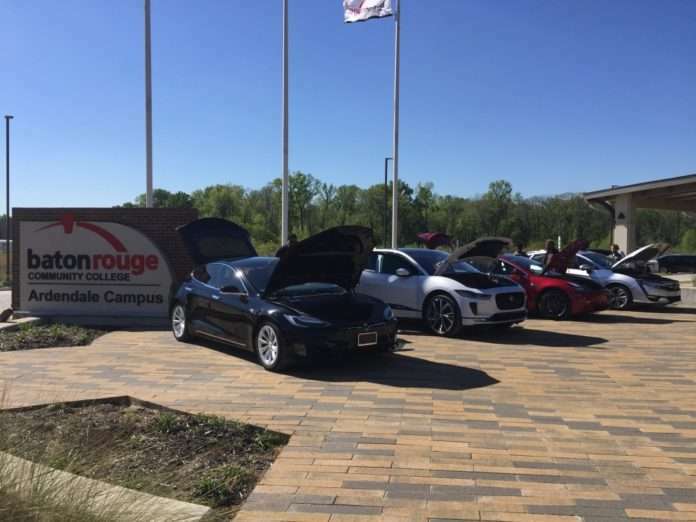 As attendees arrived, they were greeted by the sight of 4 beautiful vehicles parked outside of BRCC. On display were Teslas Model 3 and Model S EVs, the Jaguar I-Pace EV, and a Honda Clarity PHEV for guests to observe and explore. Last Thursday, LCF held our Annual Stakeholder Meeting at the BRCC Automotive Technology Center in Baton Rouge. With an attendance of around 50 people, the meeting was a great opportunity for LCF to update stakeholders on our plans and projects and discuss current developments of EV transportation in Louisiana. As attendees arrived, they were greeted by the sight of 4 beautiful vehicles parked outside of BRCC. On display were Teslas Model 3 and Model S EVs, the Jaguar I-Pace EV, and a Honda Clarity PHEV for guests to observe and explore. Vehicle owners were nearby to show off each vehicle’s features and answer questions. The meeting began with LCF Executive Director Ann Vail offering a status report on the latest trends and sales numbers for EVs as well as details on how Louisiana is working to prepare for an electrified future. She also offered a summary of LCF’s 2019 Strategic Plan, including DOE initiatives, projects and programs for the year, and information on joining an LCF committee. Vivian Aucoin of the LA Department of Environmental Quality also spoke at the Annual Meeting about the Volkswagon Funding proposal period which is currently open. Vivian offered important tips and information on the funding and how to apply. Following these informational talks was a member recognition luncheon sponsored by Solar Alternatives and Ferrell Gas where LCF recognized and thanked our new and renewing members for 2019. After the luncheon, Solar Alternatives owner Jeff Cantin gave a short and informative talk about the varying levels of EV chargers and their charging power. He explained the differences between level 1, level 2, and level 3 chargers and touched on where each charger type is generally installed. 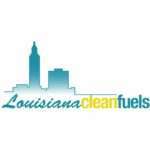 Among the meeting attendees was Southeast Louisiana Clean Fuel Partnership (SLCFP) Executive Director Courtney Young who, along with LCF Executive Director Ann Vail, ended the meeting with the exciting announcement that LCF and SLCFP will be teaming up to host a statewide EV Roadshow this summer and a combined 2019 Clean Fuels Summit in New Orleans this October. LCF would like to thank everyone who attended our Annual Stakeholder meeting! To be notified about our events and other projects, sign up for the LCF Newsletter. 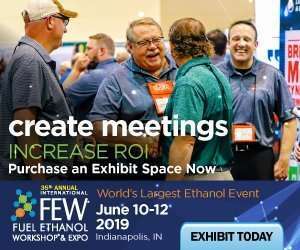 You can learn more about our 2019 Clean Fuels Summit this fall by checking our event page. For more photos of the event, check out our Photo Gallery! Thank you to our event sponsors, Solar Alternatives and Ferrell Gas!